VIP tickets are available which includes early entry for autographs and photos plus special seating. 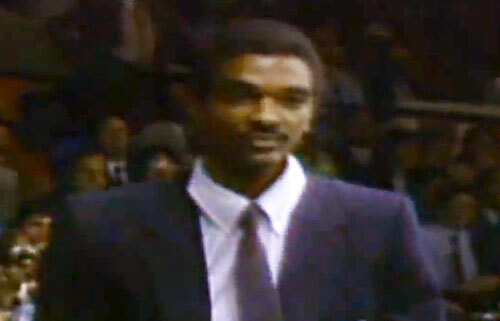 Ralph Sampson is a retired NBA basketball player. A 7-foot-4 phenom, three-time College Player of the Year, he was the No. 1 pick in the 1983 NBA Draft, Sampson brought heavy expectations with him to the NBA. The NBA Rookie of the Year averaged 20.7 points and 10.9 rebounds for his first three seasons with the Houston Rockets before injuries began to take their toll. In 1996, Sampson was inducted into the Virginia Sports Hall of Fame and in 2011, he was inducted into the National Collegiate Basketball Hall of Fame. Sports Speakers 360 is a booking agent for pro athletes. If you would like to book Ralph Sampson for a speaking engagement, appearance or endorsement, contact a Ralph Sampson booking agent for fees at 1.855.303.5450.